Handmade Greek Orthodox wedding crowns with lemon blossom flowers made of porcelain. They are tied together with an ivory organza ribbon. Also available in white color. https://www.preciousandpretty.com/2019/01/Greek-orthodox-crowns-with-lemon-blossom-n560.html Greek Wedding Favors|Orthodox Crowns|Stefana|Baptism Invitations Greek orthodox crowns with lemon blossom N560 Orthodox crowns with lemon blossom from Greece. 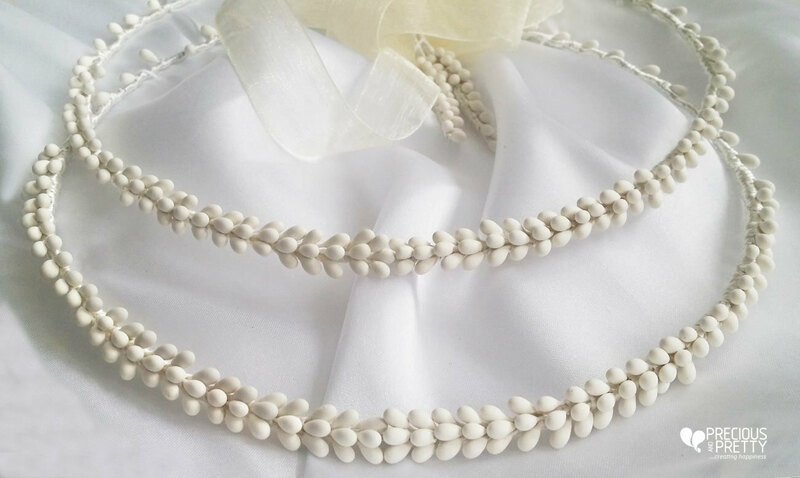 Product #: Greek Wedding Favors|Orthodox Crowns|Stefana|Baptism Invitations_8540361730623906274 5 stars out of 5 reviews.